When we recently reported on the folding electric bike Smacircle, we were pretty intrigued as to how this flash bit of tech came about. To find out the thinking behind Smacircle, we grab five minutes with one of the creators, Shanggui Wu. Hiya, I’m Shanggui Wu, the co-founder and Chief Marketing Officer of Smacircle Technology. I founded Smacircle Technology with my partners - Gavin Yang, George Zhang, Evan Yin and Timo Ding. We all take charge of different parts, and I run the marketing, branding and sales departments. 1. Normal bikes and e-bikes made of metal or alumni are too heavy for people to carry around especially on public transport. 2. Folding methods are often difficult and not user-friendly. 3. Normal bikes take too much space and it’s so inconvenient to carry them on and off of crowded public transport. 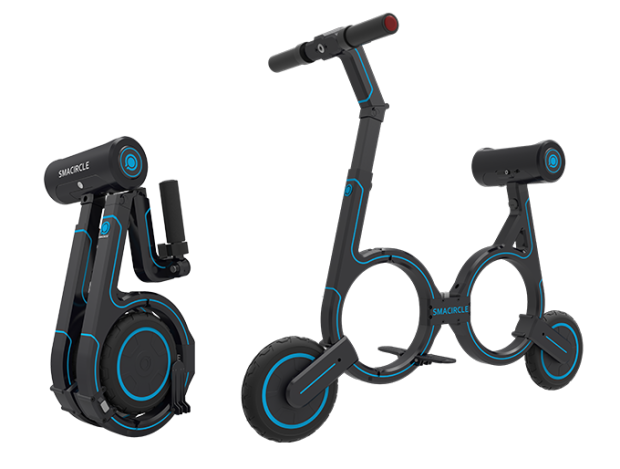 So we wanted to solve their problems and created the Smacircle S1. The world’s lightest and most conveniently folding e-bike. It folds in five very simple steps to fit in your backpack so that you can carry it on and off public transport with ease. This eliminated so many hindrances of the urban commute - there’s no need to worry about the lack of space, or about taking up too space in the boot of your car. We want to be an environmentally-responsible and innovative company that continuously provides better solutions for urban transportation. Our products will be more than a transportation vehicle, they will be the city commuters’ everyday companion. I am very energetic in work and life; I enjoy the feeling of conquering challenges and usually stay up late as I work across various different time zones. From decision-making to a customer’s feedback, trivial or big issue, I love to listen to the voices of our client’s and customers. I usually work in the USA's time zone while living in China, but no matter how busy it gets, I will always ensure at least a full day of family time. Where do you see the e-bike industry going in the near future, and how might you have to adapt? The short distance commute is a part of people’s everyday routine and daily life, and currently there is no best solution for short distance travel in urban areas. Either we are contributing to greenhouse gas emissions, it takes us ages to get anywhere, or we turn up to work sweaty and tired from biking twice a day. 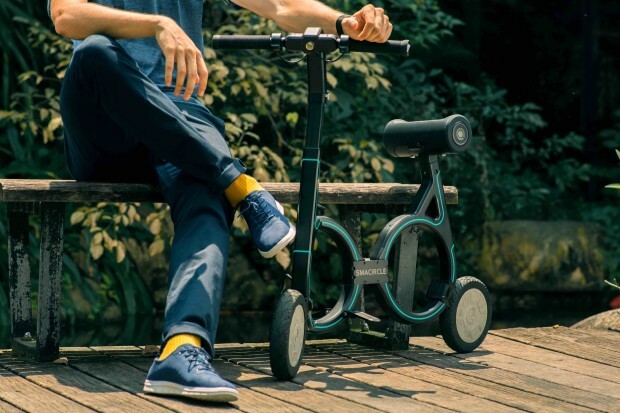 The need for e-bikes will only get stronger in the wake of the Smart City initiative, due to climate change and everyone wanting to do their part to save the planet. Smog and polluted air in big cities is a major problem. Beijing, Shanghai, and now London. People fear for what air pollution is doing to us and they should. We need to find a better solution to our current transport methods and e-bikes are a great antidote. It’s always difficult to be the starter and rule breaker, no matter what area or field you want to be in. You need to recognise a problem and tackle it with innovation and creativity. As long as you are solving a real problem close to the hearts of people you will succeed and go far in life. Apart from your own products, what kind of gadget would you like to see being reviewed on The Test Pit? An electric bubble car that flies and floats for people’s everyday use, no more traffic on the road and people can choose different ways of transportation. Let’s tackle any terrain with smart and environmentally friendly technology! Thanks so much, and best of luck with Smarcircle.